When Chai Met Toast - 'Road to Believe' tour. 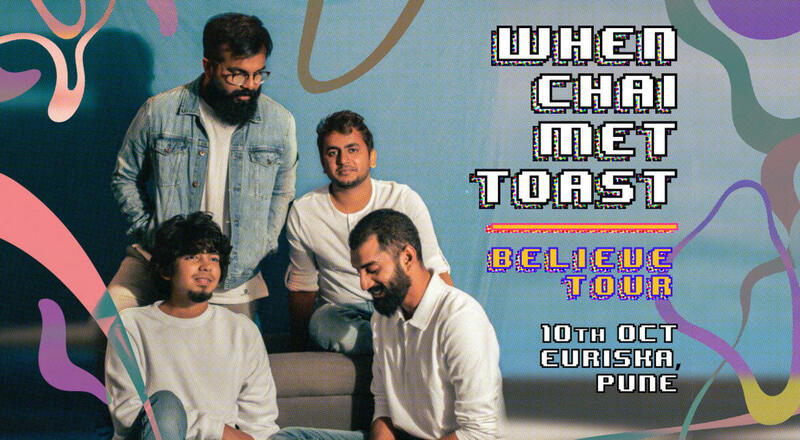 When chai met toast are back and this time to showcase their sophomore EP 'Believe'. The 'Road to Believe' tour will see the band travelling far and wide across the country performing at boutique festivals and performing venues. The EP just topped the Indian pop bestselling charts and their uplifting vibes are going to take you on a journey of lifetime. Hailing from Kerala, they are carriers of some pure and honest songwriting with an emotional connect that delves deeper than just songs. Come and witness this piece of magic all for yourself.